We need little encouragement to get the glitter out here at Byrdie HQ, and if there's such a thing as the perfect time for a bit of added sparkle, that time is now. 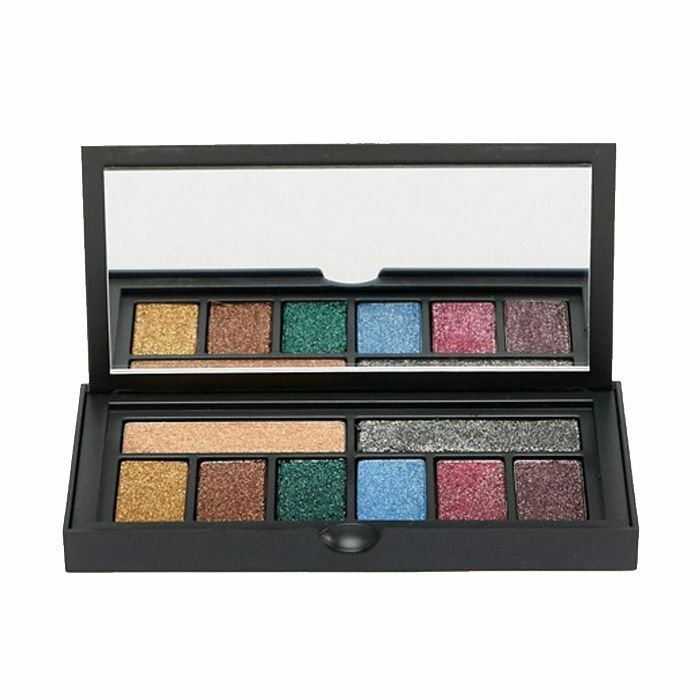 We’re on the cusp of Christmas fever, the longer nights feel in need of a something a little brighter and eye shadow palettes are aptly hitting peak shimmer. 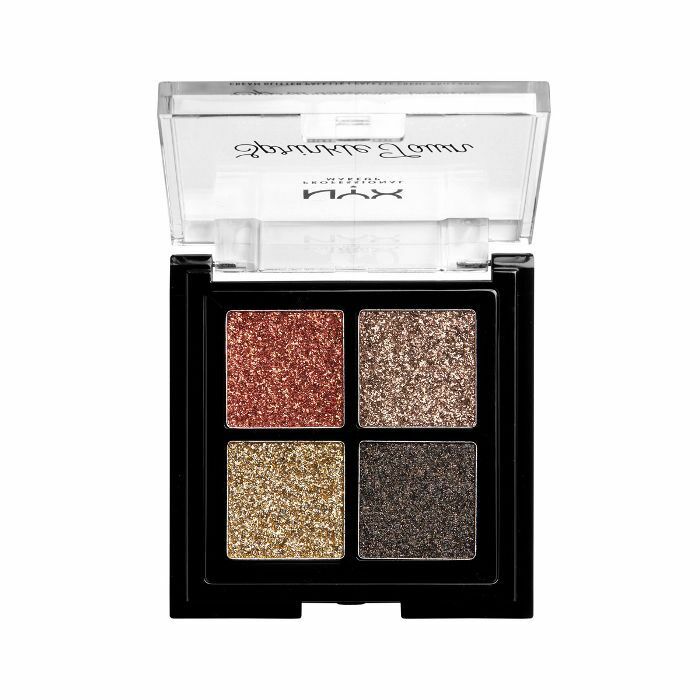 Now, of course, there is such a thing as a not-so-great glitter eye shadow. To keep things feeling fresh and modern, look for finely milled powders that sparkle just as well as they blend rather than chunkier glitter pigments that can drag on the skin and look a bit retro (and not in an ironically cool way). 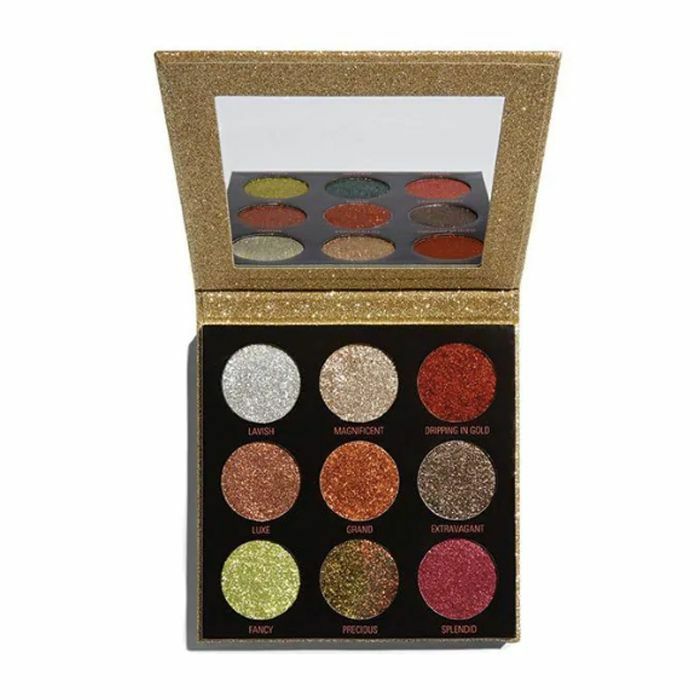 A glitter palette is your best friend for a whole host of shades that’ll complement each other and see you right through a season of shimmering, pigmented looks. Ready to get your shine on? 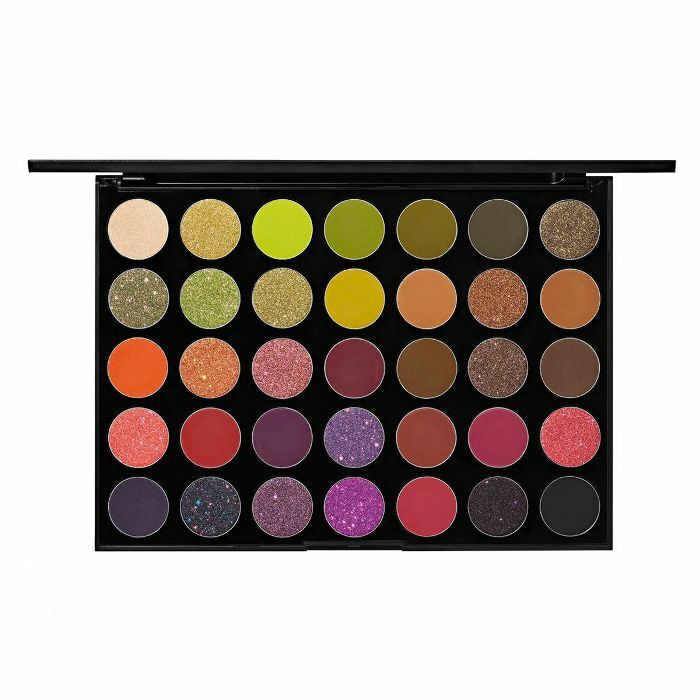 Keep scrolling for the best glitter eye shadow palettes we can’t get enough of. 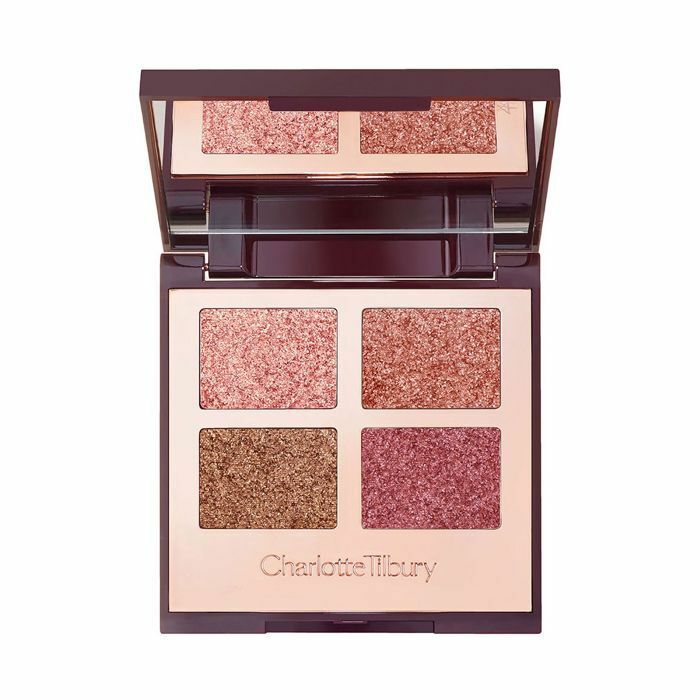 Get your full glow flowing with this luminous palette of sparkling shades all designed to enhance your natural eye colour. This palette’s called Boss Mood, and that’s definitely the vibe when it comes to these full-throttle glitters. Use the matte shades as a base, and then layer up the sparkle. 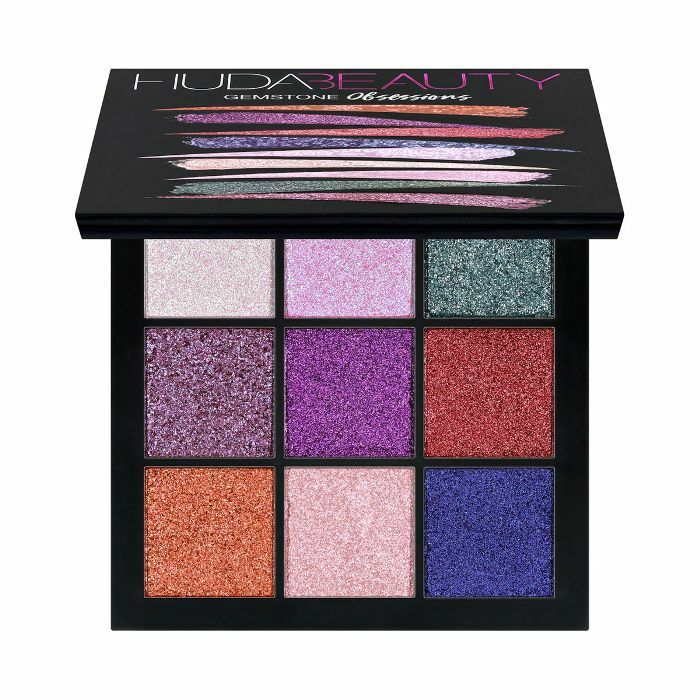 Nine of Huda’s glitziest gemstone shades all wrapped up in one handy mini palette. We’re obsessed with these jewel tones. If you’re ready to get festive, this Smashbox palette is the one. We’ll be packing on those gold and emerald shades come party season. If earthy tones are your go-tos, then add some extra sparkle with these creamy glitters from Nyx, all ripe for layering and blending. 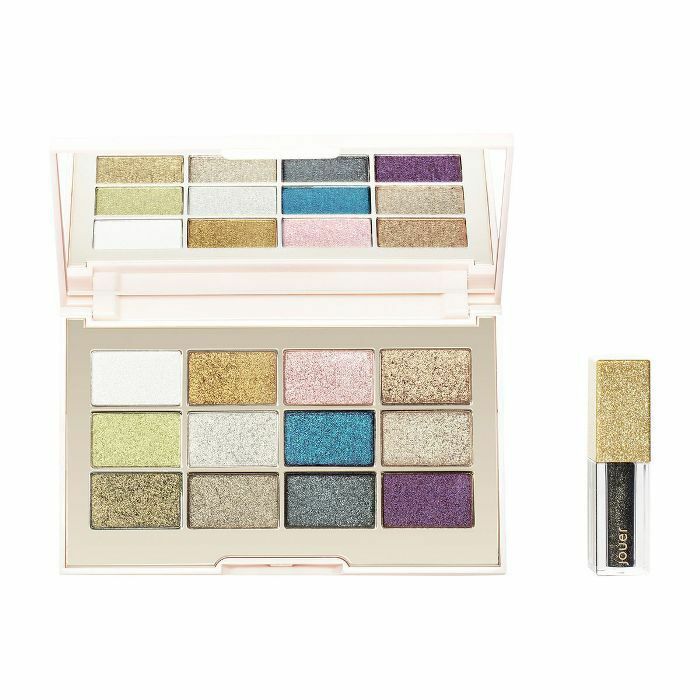 Nothing says “party” like pretty pastels with added shimmer. When you’re done with soft sparkles, ramp up the volume with that bold sapphire blue. The set also comes with a sparkling black topper for extra impact. We are living for that burgundy glitter right now. And the copper. And the lime green. Basically, we want the whole thing. A super steal for just £10.